In Sydney Mum and I went to the opera house to see “The Magic Flute” opera by Mozart. It was a real treat because the tickets were quite expensive! 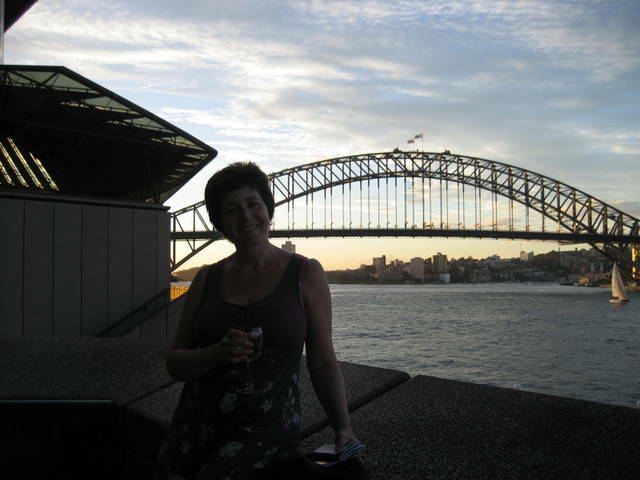 So when we got off the ferry we had tea (McDonalds) that was ten dollars, then we headed up to the opera house and after we’d had our tickets checked we went to wait. We were the first people there!!! So before it got too busy Mum bought a glass of wine which was the same amount of money as our meal (10 dollars!). So after our royal and frightening experience we went to find our seats. Once we’d found our seats the show began….. it was amazing! It was funny, dramatic and beautiful all at the same time! There were high singers, low singers, dancers , puppets and an amazing orchestra! 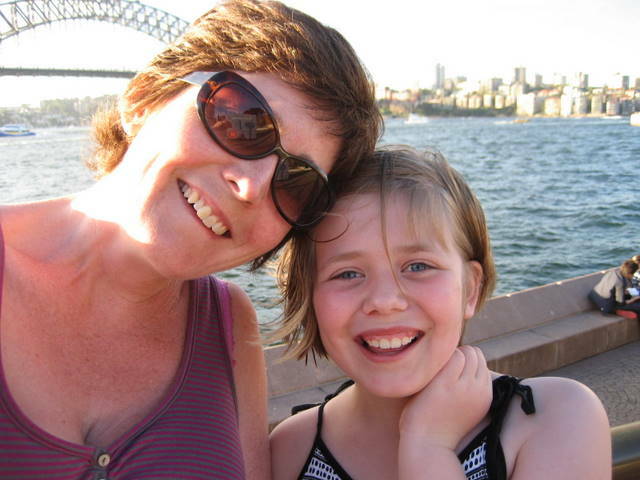 Josie – what a wonderful blog and what an amazing time you must have had, bet you and mum had great difficulty taking it all in. Can’t imagine what that lift was like, you will have to describe it to me when you are back in Great Britain. I love the photos, you’ll have the biggest photo album ever. Keep sending the blogs I am really enjoying them. We are Jon, Ann and May, sitting in the lobby of a hotel in a very small ‘resort’ on the northern coast of the Greek Pelepponese — a resort that lacked a single restaurant — and (to get to the point) we all think this is lovely! Well done, Gilly and Josie! I am loving the dress you were wearing! Where did you get it from? Thank you so much for emailing me so often. Have a good time in New Zealand. What an amazing girls night out!! 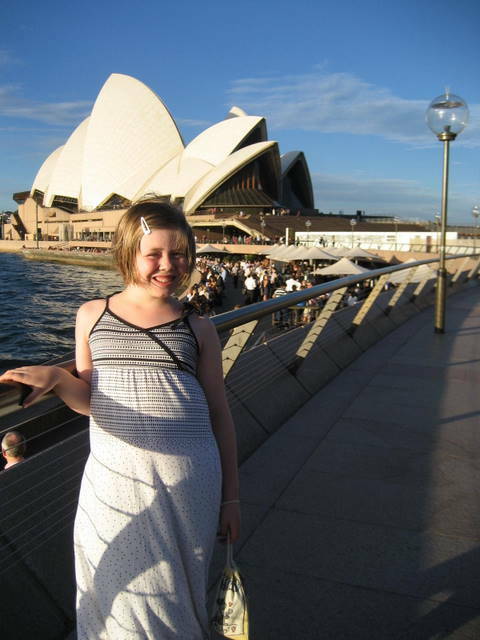 Sidney Opera House sounds amazing Josie, Im very jealous! !